Andre no longer requires any introduction. From being the upstart in the fine dining scene in Singapore a few years ago (dominated at that time by Les Amis, Iggy's and the celebrity restaurants in the casinos), Chef Andre Chiang now stands undisputed as Singapore's premier chef and is a celebrity in his own right. 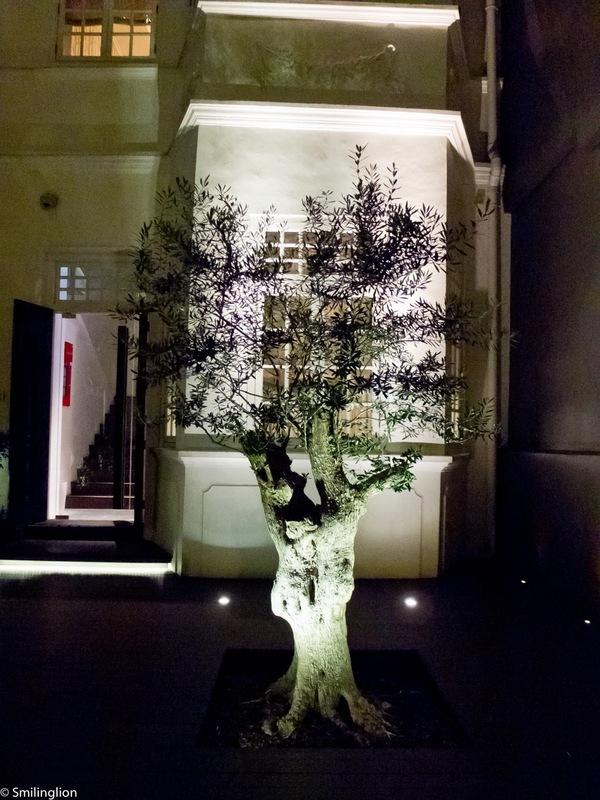 His eponymous restaurant has also steadily gained admirers at home and abroad, and currently sits at the lofty heights of number 38 of the San Pellegrino World's 50 Best Restaurants list and number 5 in the Asia list (for what it's worth, given my views on those particular lists). Chef Andre's uncompromising stance towards the dining concept he champions makes the survival and thriving of his restaurant over the years even more admirable given the undoubted pressures he constantly faces from the still-rather-conservative dining public in Singapore to introduce a more diner-friendly a la carte menu. 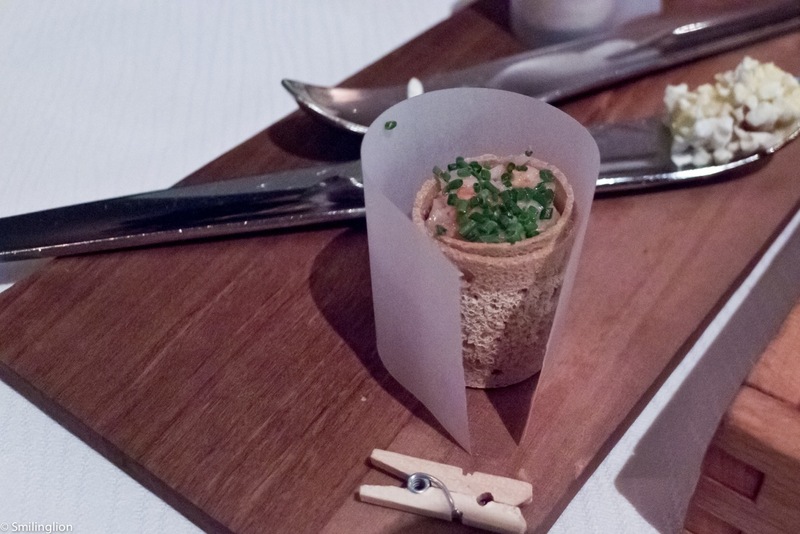 Dining at Andre is not merely a meal; it is a show, an experience. 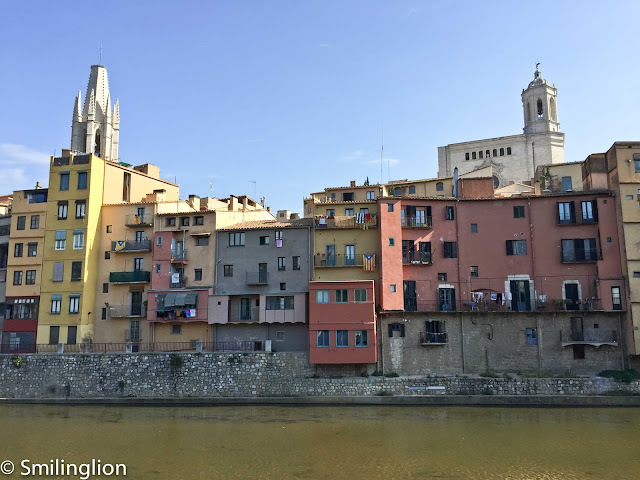 It is not one for people who want to dine in a rush, have a light meal of just a few courses, or have very specific preference to certain foods (though the kitchen can accommodate some requests to substitute certain foods). For that reason, a diner needs to be in the right frame of mind when dining at Andre. Such a mindset would require such diner to be open-minded and trusting of the kitchen to deliver meal which will not only provoke the palate but also the other senses such as those of sight, smell and touch. 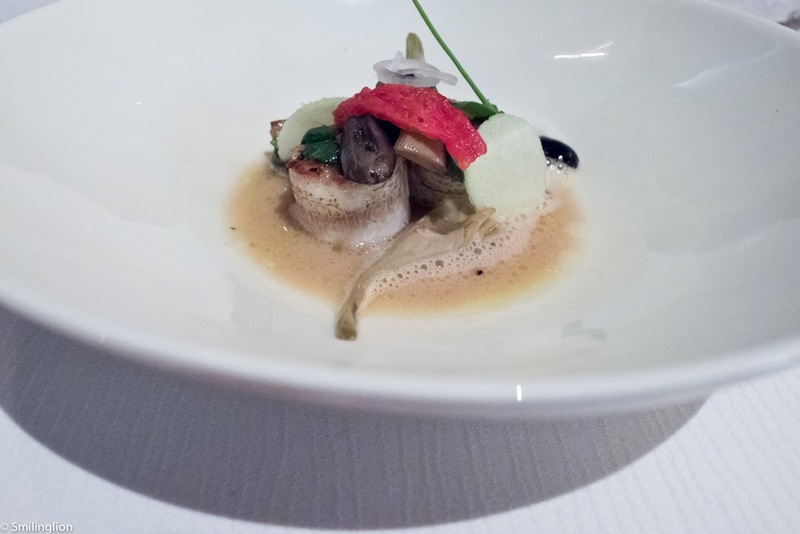 This was our first meal here in 2013, and we were curious to see whether there was any material progress from the previous highly successful menus of 2011 and 2012 (see our earlier posts: Andre Sep 11, Andre Nov 11 and Andre Mar 12). Throughout the evening, the service staff fussed over us with much attention and warmth, and the food came at a brisk pace and was well-timed to the extent that we were not given the chance to get bored. 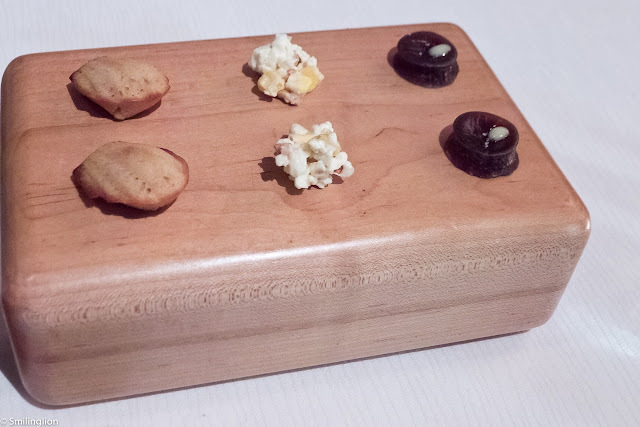 The very familiar amuse bouche was served first, with a few new additions this time. 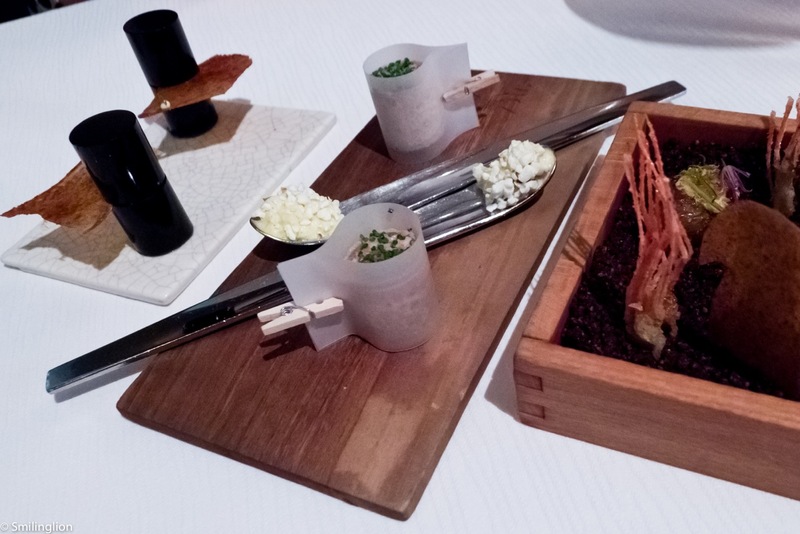 The crispy chicken skin, vanilla popcorn, tartare roll, potato and dehydrated mushroom were popular favourites, and the deep fried shrimp head and caramelized olives were new. We were also given a chocolate ball which burst in the mouth to release a cold liquid chlorophyll. 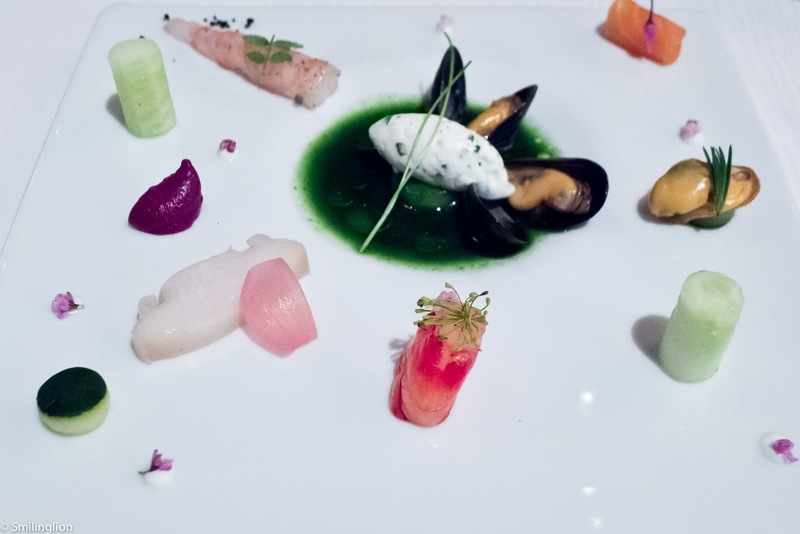 The first course was a mishmash of seafood (shrimp, salmon, scallop, clams) and other 'vegetables' (cucumber, onion, zucchini) to be eaten with a dill and parsley dip. 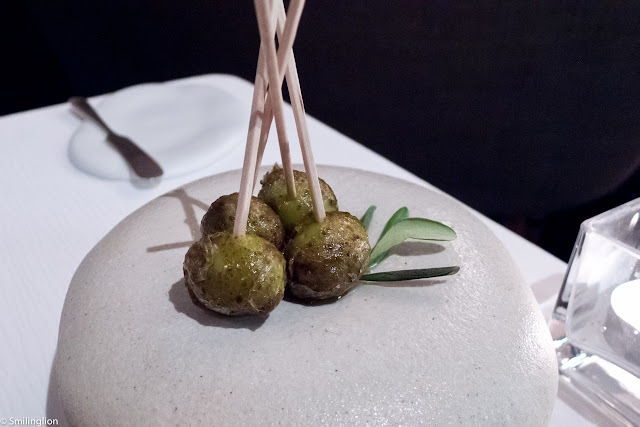 It was edible but not terribly exciting and we had trouble trying to figure out the unifying theme of the dish. 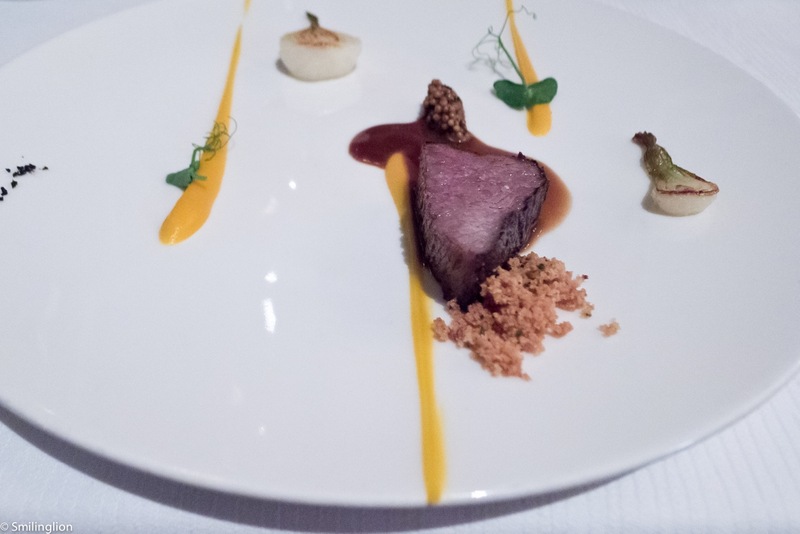 Fortunately, before we got too critical because of the slightly underwhelming first course, the next dish was quite exquisite. 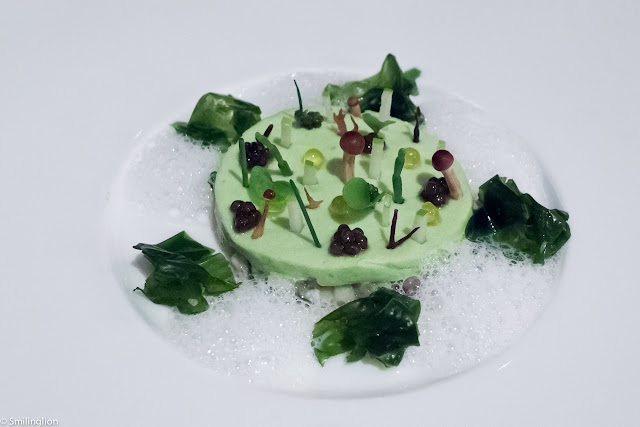 The apple panna cotta on a bed of oyster tartare, surrounded by oyster foam and seaweed, and topped with caviar and fish roe, was a combination of the slightly sweet with plenty of umami flavours of the sea. The sweetness of the apple was essential to bring out the 'salty' accents of the various 'seafood'. 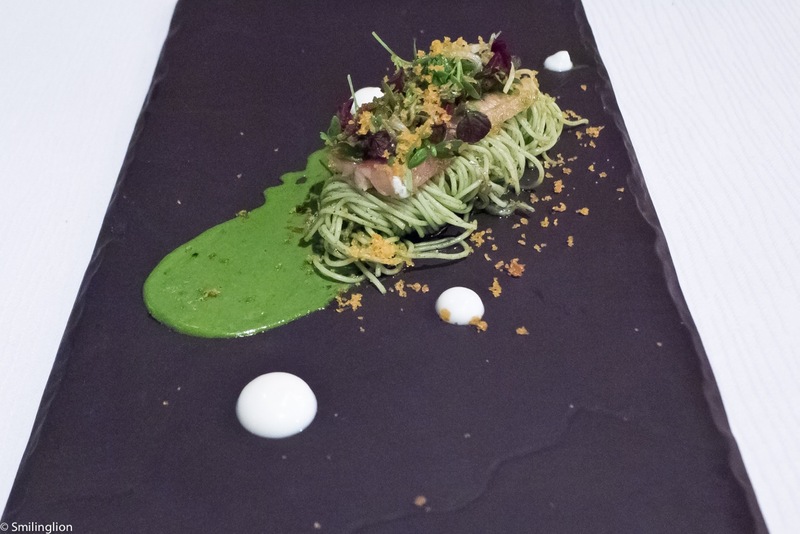 Chef Andre has tried the combination of green apple with oyster and seaweed before but we never thought that it was much of a success until this version of the dish. Served on a giant hot stone was an organic prawn of which head was deepfried till crispy and the body was almost raw (being only slightly seared), accompanied by some oyster foam, seaweed and crispy sea spaghetti (some kind of dried seaweed we suspected). We ate the spaghetti with our hands like a snack and it was quite addictive. It was a decent dish, and the contrast between two ends of the same prawn at the opposite extents of cooking was interesting. The best dish of the evening was the pesto angel hair pasta with broccoli puree and fomage blanc, and cold-smoked dutch eel topped with bottaga. This was a pairing of the rather unique flavours of broccoli, cheese and distinctly cold-smoked eel, topped off with the excellent and addictive bottaga (which Chef Andre apparently sourced from his homeland Taiwan). This was truly superlative and would not be out of place on the menu of any of the top restaurants in the world. We just could not have enough of it. 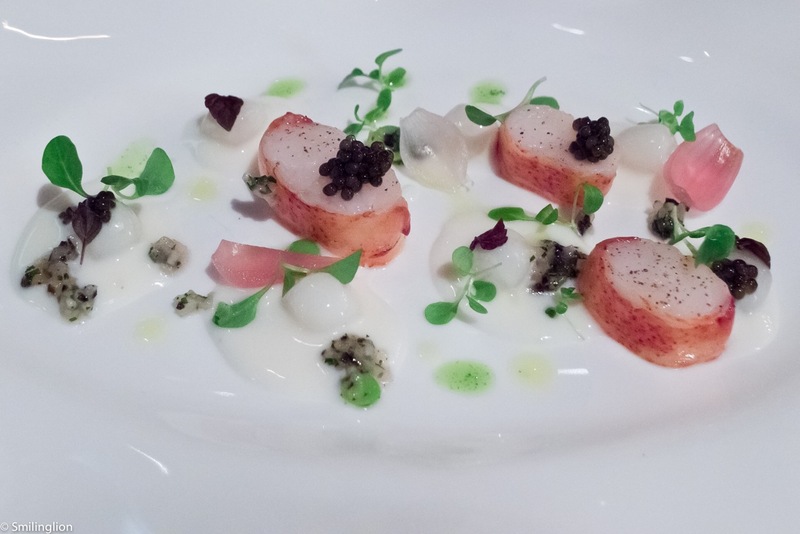 The very pretty poached lobster with 'air' gnocchi (it was very light and almost foamy in texture), scallop puree and caviar tasted as good as it looked. 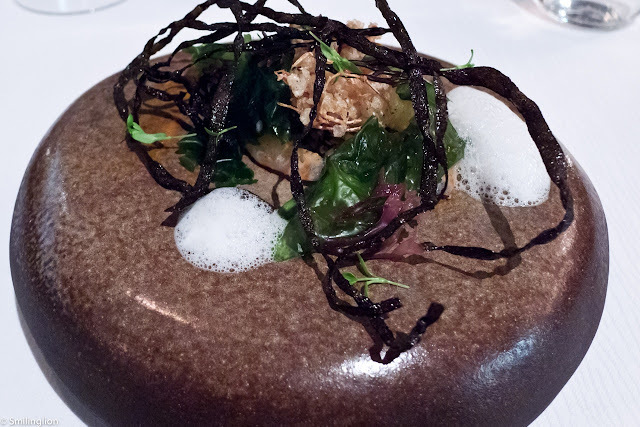 The Japanese needlefish with artichoke was a dish which surprised us with its complexity and flavour. 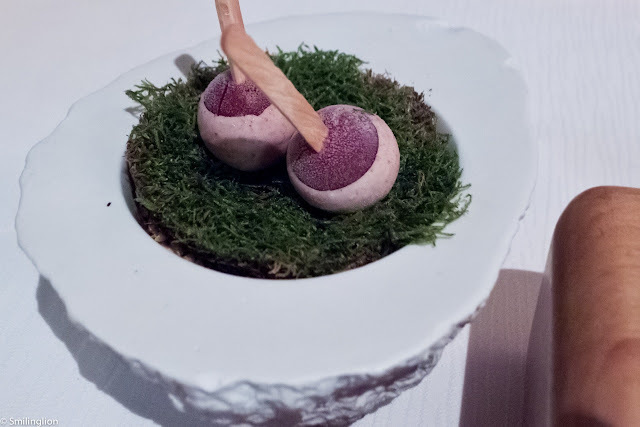 The meat was stuffed with its own tartare then seared on the outside, to create different textures when bitten into. The artichoke and fish stock matched brilliantly as a light sauce as well. 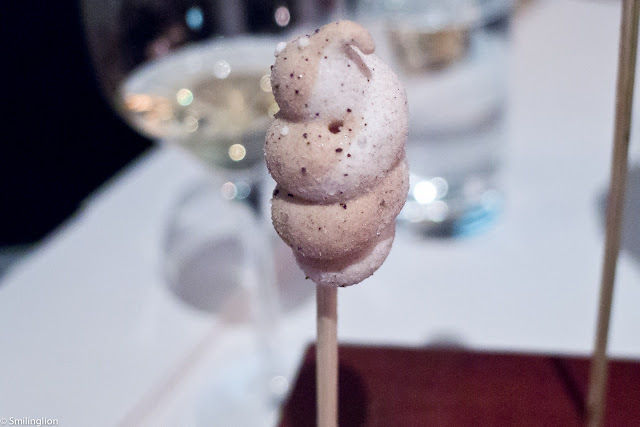 Andre is very proud of its signature dish, the foie gras custard with a deglaze of black truffle, and rightfully so. It wouldn't be the same meal without it. 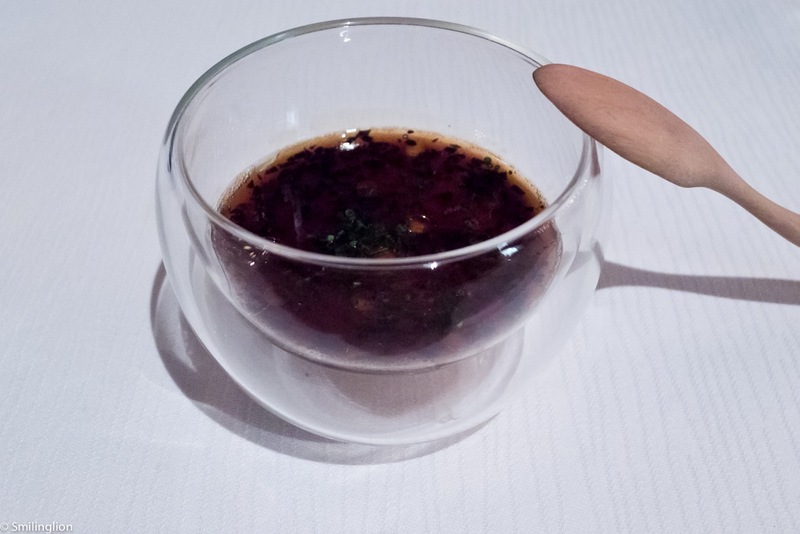 This time it tasted more refined than before, as the foie gras flavour (which can be quite clawing if too rich) was more subtle than we remembered it. The final main course was a wagyu beef fillet with mustard seeds and an excellent deglaze. The portion of the beef was rather small but in the grand scheme of the meal it was sufficient. This was quite expertly done. 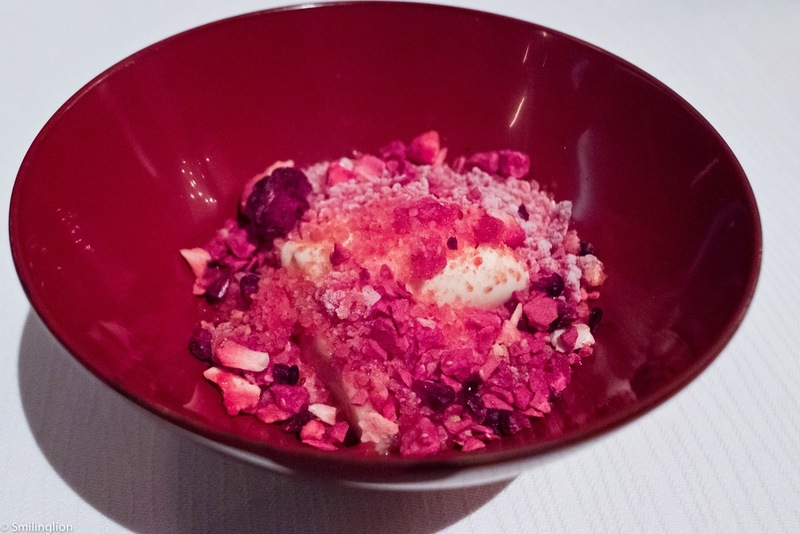 The first of the pre-desserts was the dehydrated raspberry and honey ice cream. We loved this dessert served in a lacquer bowl; the crushed frozen and solidified raspberries were crunchy and the honey ice cream brought some sweetness to counteract the slight sourness of the berries. 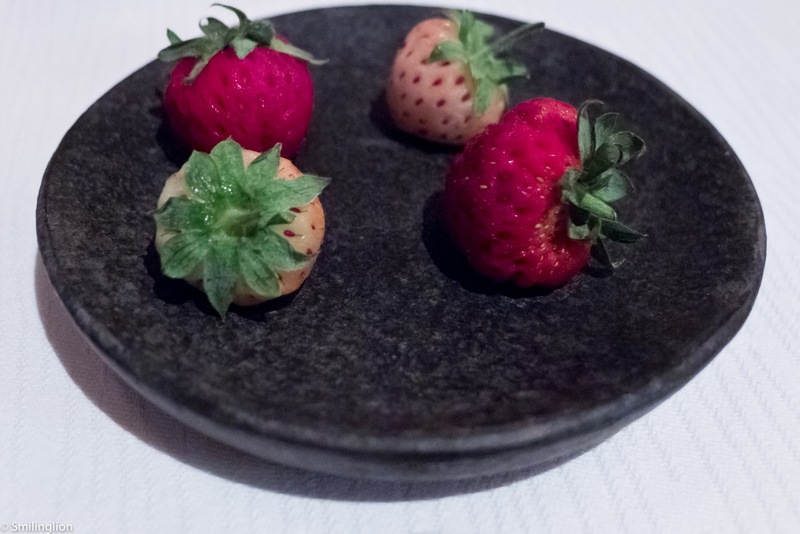 This somehow reminded us of eating a bowl of granola with honey and berries: the dehydrated raspberries had the texture of granola but with the flavour of the berry. This was a very clever dish. 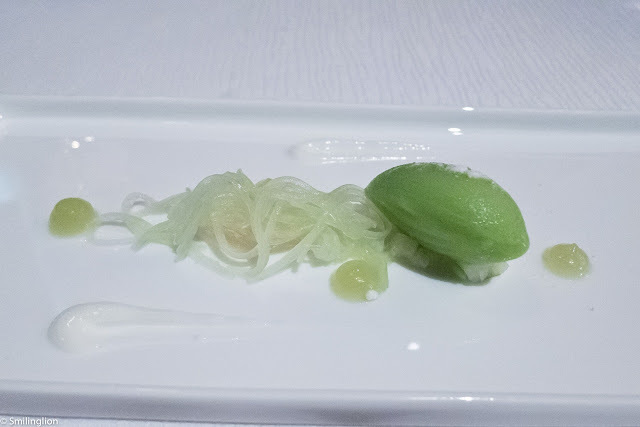 Continuing the theme of refreshing and fruity pre-desserts, the cucumber ice cream and green apple julienne was light and indeed a good palate cleanser. 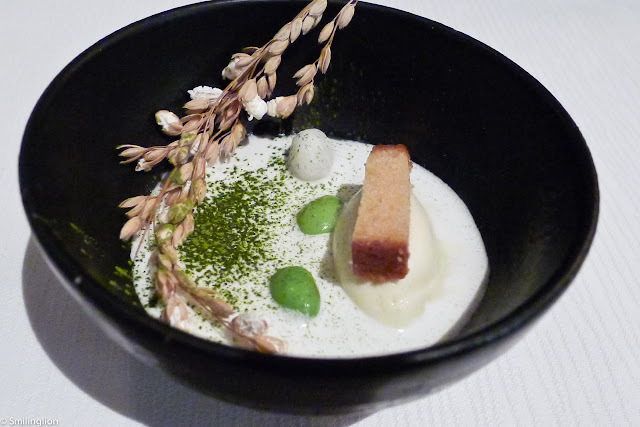 Another pre-dessert was a rather unique thick milk custard with a dollop of miso ice cream, a few edamame beans, a sprinkle of macha powder and a dried branch of wheat which was edible and tasted like popcorn. 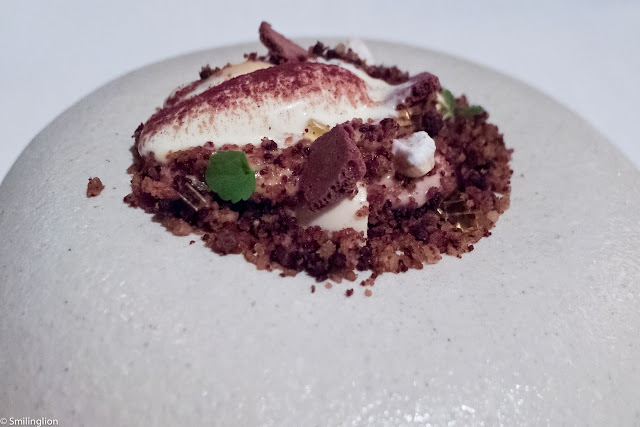 The combination of the milky with the umami flavours of the miso was rather unusual and quite memorable. The seemly endless sequence of pre-desserts cumulated in the restaurant classic; the deconstructed 'snickers', an old favourite of ours. The dinner did not end there just yet. In the best of the French fine-dining traditions, the sweets served at the end were themselves worthy of been deemed a dessert course in their own right. In order of the photographs below were: the strawberry pineapples (named as such because they had a slight acidity which made them taste like pineapple), the dark cherry madeleines, peanut butter popcorn and earl grey jelly sweets, the white chocolate-coated frozen sangria and finally the delightful licorice coffee marshmallow on a stick. Final Thoughts: This was another 3 hours of gastronomic pleasure served up by the increasingly confident kitchen and serving staff. 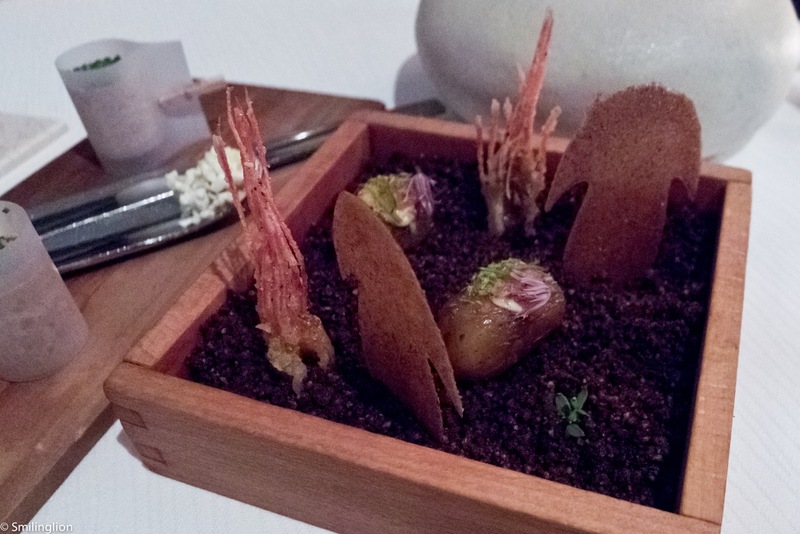 The range of creations has certainly broadened and aside from the staple favourites like the amuse bouche, the foie gras and the 'snickers' dessert, everything else was new to us. Though not yet (in our opinion) at the level as some of the best restaurants in the same genre in Europe and the US (although dishes like the pesto angel hair pasta hinted at the potential), we were very impressed by the entire dining experience and were well entertained throughout the evening by the innovative and thoughtful food as well as the attentive service.